The birthplace of Pres. Manuel A. Roxas. First President of the Philippines Republic and Roxas City’s most illustrious son in whose honor the city got its name. 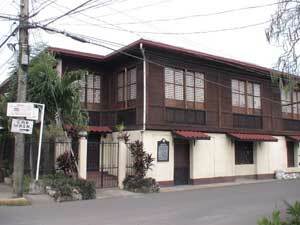 The original house still stands at its original site at corner Rizal-Zamora Streets, a few minutes walk from the city hall and the city plaza. In 1910, President Pastor Alcazar, third President of the town of Capiz (1908-1912), constructed a water tank near the “Municipio” to provide water to the Kapisnon during the dry months. Water flowed from the roof of the two-storey municipal building to the tank. The “Municipio” was destroyed during World War II, but the water tank which was 11.5 meters in diameter, 6.10 meters in height and with walls 11 inches thick was spared. After the war, offices were built around the tank completely hiding it from view with only a water spout visible. In 1993, the offices were demolished and for the first time in three decades, the water tank could be seen. The young people, who were not aware of the existing structure, had to be told that originally, it was a water tank. The old water tank looks quite imposing, like a lady, grown serene, yet gracious and to demolish it would be like cutting the umbilical cord from the past. However, that water tank had outlived its usefulness because Roxas City now had a modern water system, a legacy from the late Congressman Gerardo “Dinggoy” Roxas, Jr. The City Government with a group of culture buffs brain-stormed on what to do with the structure and the idea of converting it to a museum was born. 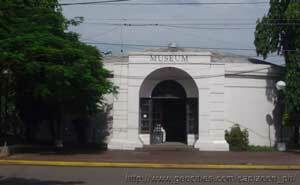 Thus, the Roxas City Museum, Ang Panublion, became a reality with Mrs. Ofelia Rendon as its curator. Ang Panublion, in its initial exhibit, showcased the Kapisnon: how they lived, how they prayed, how they danced, what they ate, what they wore (gowns, jewelry, etc., and how they spent their time. This edifice is the venue where locally made products are displayed. It is located at the foot of the Capiz Bridge and is in the vicinity of the Rizal Monument and the Capiz Provincial Capitol. It occupies 700 square meters of a city government lot. The initiative to construct this edifice was spearheaded by the city government and the Dept. of Trade and Industry. Construction began in 1997 and was completed in the same year. The Capiz Multi-Purpose Cooperative, Inc., was designated as the caretaker of the place and was tasked to oversee the local products put up for display. Local products like preserved foods and delicacies, handicrafts like shellcraft and furniture made from rail ties can be seen at the place. In the garden of the venue which occupies almost two thirds of the property, ornamental plants, orchids, fruits tree seedlings and other local plants are housed. This area is also the place where plant exhibits are held several times a year. The Tourism Promotion and Development Office of the city government moved to this place last December 6, 2003 in order that it could cater more to the needs of the people of Roxas City and the domestic and foreign visitors who continue to frequent the city. The inauguration and blessing of the edifice was graced by Mrs. Judy Araneta Roxas, Senator John Osmeña and Representaive Imee Marcos-Manotoc who came to attend the Sinadya sa Halaran celebrations. 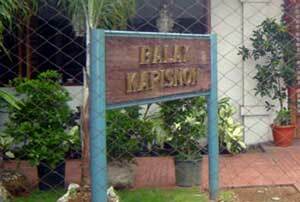 The display center was renamed Balay Kapisnon. As expected, the place has become a must see for visitors who come to Roxas City. Built in 1814 in order to repel the invading Moors and Portuguese colonizers. These half-torn structures, 7 feet squares, 10 feet high, are vivid souls of the past. 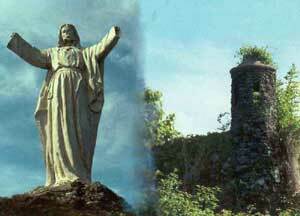 Before they were destroyed, they were twice their present height. These towers are made of black pebbles, and are gradually eroding. One tower is on top of the hill at Sitio Nipa, Culasi and the other one is at Brgy. Dumolog. An hour’s travel from the city proper, this island barangay is blessed with white sand beach and serene shores that fits everyone’s dream for a honeymoon or a place to run away from the hassles of the city life. A boat ride can be arranged at the Banica wharf for a certain fee. 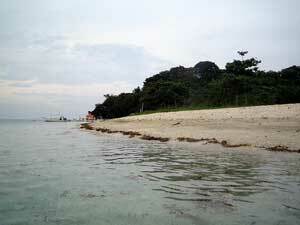 The seven kilometers stretch of ebony beach at barangay Baybay is one of the finest assets of the City of Roxas. When the Mayor noticed its potential, he allowed consigners to occupy the entire beachfront as long as the they sold seafood at low prices, and cleaned up all their areas upon closing. this area which is the favorite haunt of domestic and foreign tourist alike because of its succulent and fresh seafood became known as the Roxas City Seafood Plaza or Talabahan. Soon, the concessionaires, will not only have the convenience of more stable and more aesthetically appealing stalls but also a steady water supply, as well as other facilities needed in their day to day operations. The general public will also have permanent umbrellas in which to spend their beach holidays and wide tiled parks for children. Public facilities such as toilets and showers will also be installed in the area. In the evening, the place will glow with mercury lamps – but not before everyone is able to witness the breathtaking sunset at Baybay Beach, Roxas City. Capiznon Online talks about everything and anything you want to know about Capiz and Roxas City, its allure, its beauty, the latest issues being talked about, the happenings as well as the latest landmarks, recreational centers, watering holes and all the things that make Capiz truly captivating and bewitching. Pingback: Captivating Capiz « Room of Thoughts: My Journey to Life..
God loves the people of Capiz.roxas City, its where i belong. My kids and I spent our valentines weekend at San Antonio Resort in Roxas City. 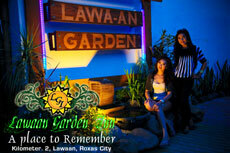 I was enticed to visit the place when it was featured by Trip na trip in one of its episode. It was also mentioned that Roxas City is the seafood capital of the Philippines; but the prices are very dissappointing. We ate at Coco Veranda, per kilo of crab is 900pesos, shrimp 700pesos; much more expensive compared to Seaside at Macapagal. We also tried the streets ihaw-ihaw; per piece of a very small crab is 150pesos. We stayed at San Antonio resort; I requested for a family room but the structure of the bath/comfort room is not for family use; more on honeymooners because of its transparent glass wall divider. But in fairness, the staff and receptionist attendant are very polite. Hi! Can you remember what the weather was like back then? We’ve booked a flight to Roxas from Manila around 3rd week of Feb. We’re also planning to stay at San Antonio Resort. I was hoping you can share with us which places you’ve visited that your kids enjoyed because I’ll be going there with my daughter. Thanks! I heard there is a movie theater in Roxas City. Any information on how to contact them to get listings and show times? Searched everywhere on the internet…thanks! Thank you for sharing places and tourist spot here in Capiz. 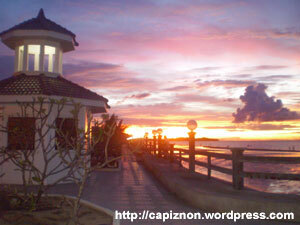 I would love to visit Capiz, in the future. Captivating Capiz – Roxas City Seafood Capital of the Philippines · Capiznon Online is a blog designed to all Capiceño around the world. 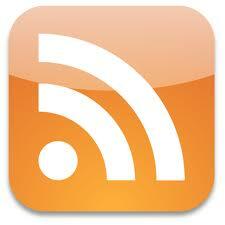 This serves as a repository of information about Capiz, all its municipalities and Roxas City.